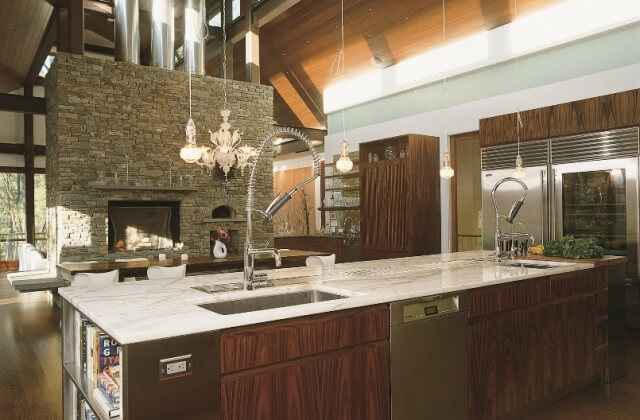 This Superior Woodcraft kitchen has been dubbed the Intelligent Kitchen and the Modern Earthy Kitchen. 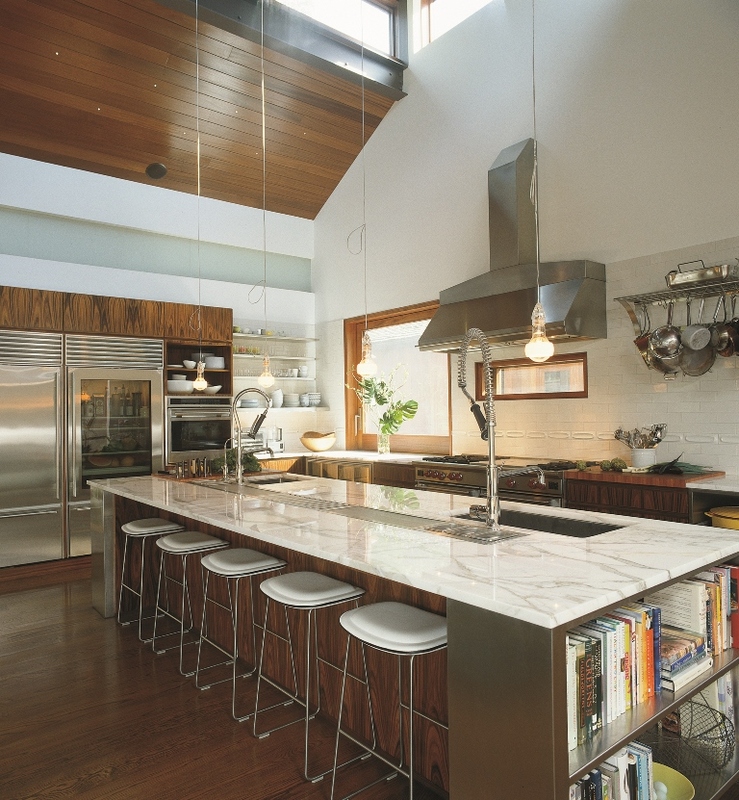 It is a very unique kitchen, which incorporates rosewood, stainless steel cabinetry, appliances and sinks. Natural stone, a fireplace, lots of natural light and natural forms create an earthy environment. 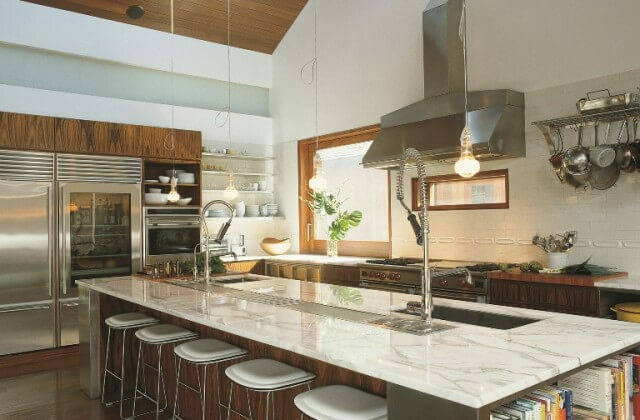 It is a modern kitchen with an earthy, natural feel. 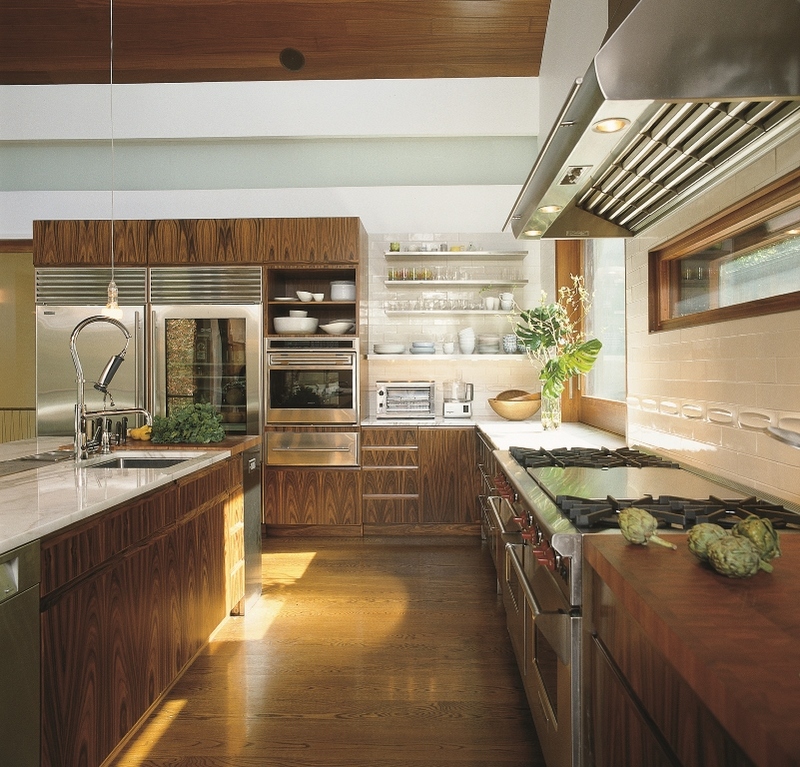 This Superior Woodcraft kitchen has been noted by many different design professionals.